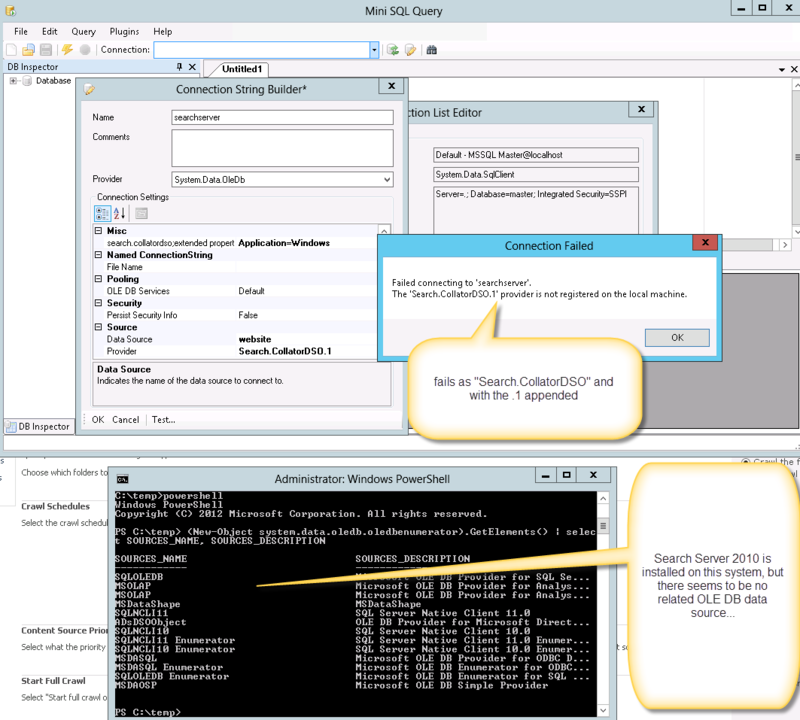 Microsoft Search Server: The OLEDB Driver is not installed with server? I am unable to connect to the Search Server OLE DB provider. I am fighting this error: "The 'Search.CollatorDSO' provider is not registered on the local machine. " b) A powershell query to list available ole db providers.... indicating that the provider for search server is not present on the system. fwiw, I believe the SQL Query tool may be 32 bit. System is x64. Figured it out. Downloading and installing Windows Search Server 2010 installs a ton of server pieces, but does not install the OLE DB driver. Not the answer you're looking for? 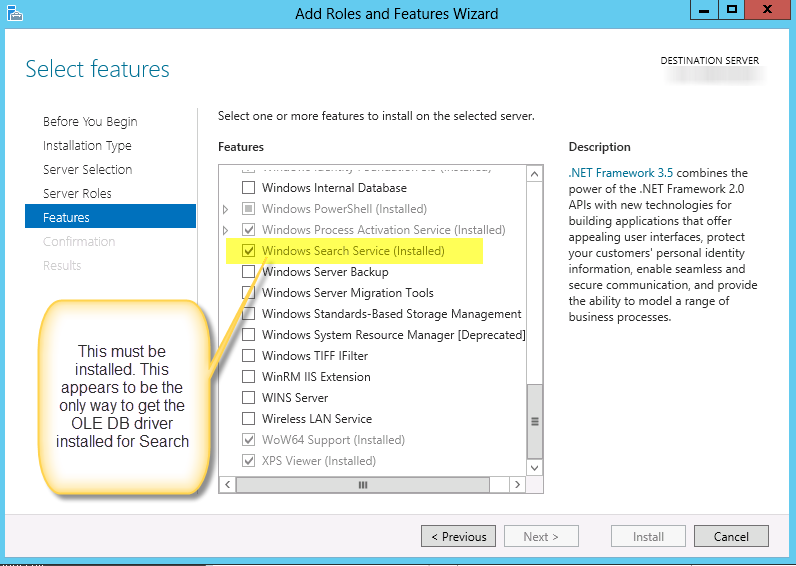 Browse other questions tagged windows-server-2012 or ask your own question.